Installing a programmable thermostat can eliminate the need to change settings regularly and lower annual heating costs. A programmable thermostat can have multiple settings programmed, even to specific days of the week and hours each day while you are away from the home. If you have installed a programmable thermostat on your home’s heating and cooling system, lowering the temperature setting on your thermostat during the day when no one is home, and even lower overnight while you are sleeping, can greatly reduce your energy bill and increase the life of your heating system. The use of a programmable thermostat is especially important if you own a heat pump. Customers using in-ground heat pumps are recommended to use programmable thermostats to prevent putting the heat pump into emergency heating mode. If you use a heat pump and do not have a programmable thermostat, you can gradually change the settings to avoid costly emergency heating mode. 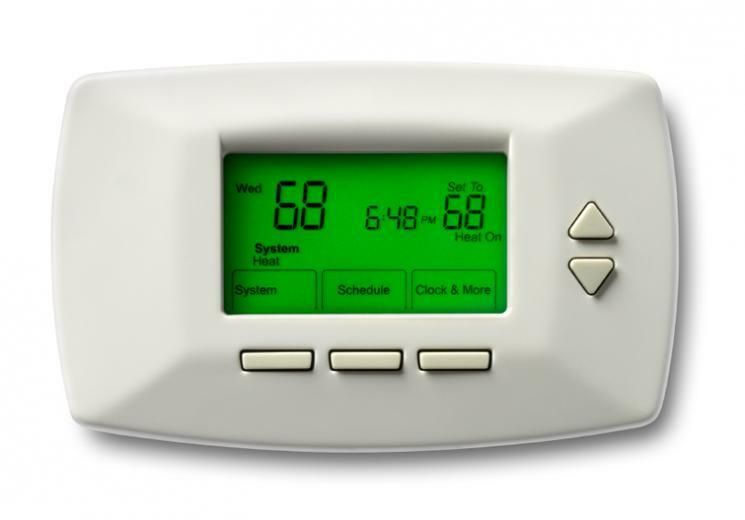 Thermostat settings can greatly affect the efficiency of your heating system. Be consistent with your thermostat settings or reduce them gradually. By lowering the settings on your programmable thermostat to 68* degrees during the day and 58*degrees at night, you can save between 10-15% on your annual heating costs. This reduced setting is not recommended for use with heat pumps. For additional questions about programmable thermostats, or if you think you need your heating system inspected before winter, call Circle B Mechanical at 918-367-6298. This entry was posted in Circle B Mechanical, LLC, thermostat settings and tagged thermostat settings. Bookmark the permalink.